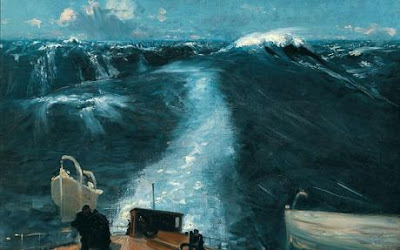 Sam Crawley's Little Box on the Web: So long Sargent..
Sargent and the Sea was an exhibition at the RA which ended a couple of weeks ago. It had been on for some time and despite the appeal of the the stormy banner I ended up having to whizz along after work to catch it just before it closed. 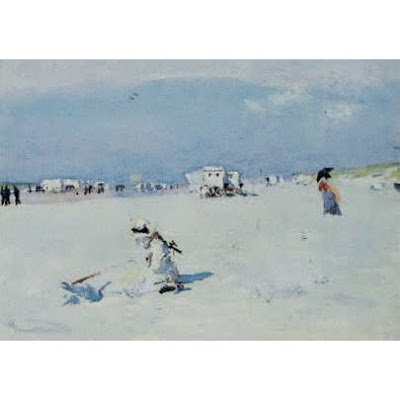 Sargent is famous for society paintings such as "Madame X" but this exhibition is, as the name implies, all about his paintings of the sea and coast in particular around northern France. I wasn't sure what to expect, but was hoping for a print that might be suitable for Preston Parade. 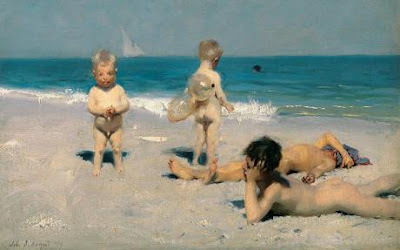 Sargent was American but thanks to an adventurous mother was born and spent much of his youth in Europe. In his early 20s, he was classically trained at the École des Beaux-Arts, going on to exhibit at the Paris Salon then Royal Academy. He met such greats as Degas, Rodin, Monet, and Whistler, and developed a style which was French but with influences including Turner, Gainsborough, the English watercolourists, and Whistler. 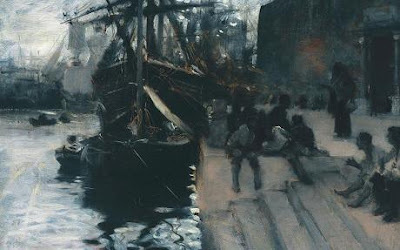 Sargent went on to develop his skills in watercolour, which took over from oils by the time of the scenes in Venice in the last room. 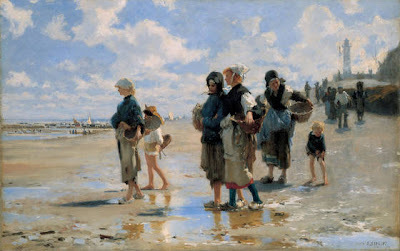 I found it interesting that he had customised his style to suit the French and American academies, in particular the two different versions of the Oyster gatherers. I came away slightly disappointed. Critics were mixed in their feedback - The Guardian said “It is hard to believe the painter ever stepped outside...” , but overall I enjoyed the show. What was missing, given the title, was more paintings of the sea itself. I didn't find the supporting notebook sketches particularly interesting, and there were too many. More of the Atlantic Storm!